Nick Ernst, a doctoral graduate from the University of Cincinnati, who is now the CEO of his startup “Psibernetix”, that admittedly specializes in AI systems development that suits any given need of the customer. But Nick Ernst didn’t create some graceless Facebook messenger bot. He thought better. Yup. He did just that. Now, if US Air Force cadets were anything like Will Smith’s character Detective Spooner from the movie I, Robot , they would severely disapprove of this, developing paranoid seizures at the first hint of the new AI program affectionately named (so to speak) ALPHA. Nonetheless, here’s the full story. 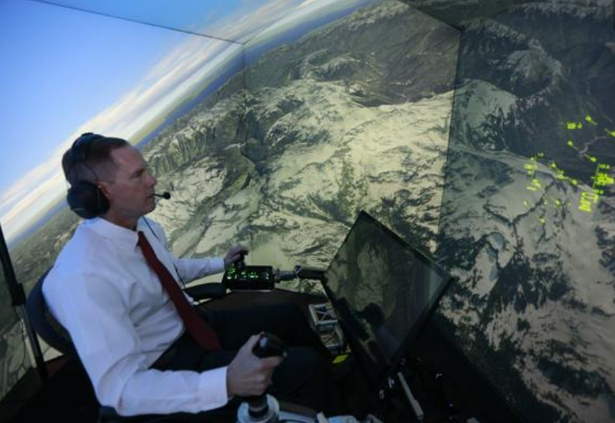 After squaring off against fellow AI pilot programs last year and winning by a significant margin, ALPHA was set on a collision course with human pilots too. And the way things were, human pilots barely landed a blow on this nightmarish Intelligence system, in simulated combat environments. Retired the United States Air Force Colonel couldn’t take the back seat anymore and wanted a piece of the action himself, as ALPHA was already generating quite a buzz in US Air Force hallways. In the frame, the man himself, US Air Force Colonel Mr.Gene Lee, all nice and comfy. 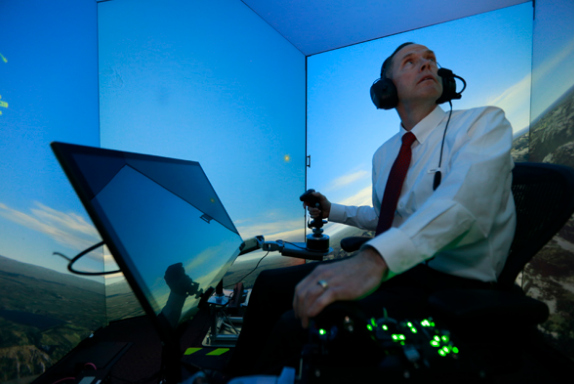 Just another day at work, finishing his part of the routine at Combat Simulating environment, where he has been furthering his winning streak since the 1980s against the combat AIs. With good reason, Colonel wanted to put his streak on the line against an updated version of ALPHA, without a moment’s hesitation, given his impeccable record of success in this field. Fast forward, Mr. Gene Lee couldn’t once shoot ALPHA, instead gets shot down repeatedly in every session that he engaged in. Not only that, Mr. Gene Lee admitted to being physically exhausted and mentally worn out after his air combat bouts against the ALPHA AI. At this point, you could be thinking that yes, it may have knocked the retired Air Force Colonel out cold and perhaps it is because his good days are behind him. Because what happened next, was more humiliating. For the human pilot experts, at least. Human fighter pilots took turns at AI ALPHA, by denying it the full potential of some of its abilities like turn radius, speed, and weapons system. But that didn’t stop AI ALPHA either from standing tall and vanquishing the human fighter pilots in a clean sweep. WHAT MAKES THIS SUPERHUMAN-LIKE AI, A SUPERHUMAN-LIKE AI? Nick Ernst explains that the AI ALPHA is driven by a genetic fuzzy tree, a variant of fuzzy logic algorithms. Genetic fuzzy tree helps to arrive at a problem by viewing it as a summation of several smaller problems. This way, it develops an isolated understanding of tasks like ammunition, evasion, speed control, missile projectile. AI weighs all of these parameters against each other, singles-out the tasks it needs primarily and goes about the most strategic plan of action. And it does all of this at an unparalleled speed 250 times faster than its human adversary could blink. “It seemed to be aware of my intentions and reacting instantly to my changes in flight and my missile deployment. It knew how to defeat the shot I was taking. It moved instantly between defensive and offensive actions as needed”. While such is the unmatched potential of AI ALPHA, US Air Force originally intended ALPHA to be a pilot’s wingman, by acting as an unmanned combat aerial vehicle (UCAV). So, if that happens, AI ALPHA would go on to be, what a Sniper is for foot soldiers in a war zone.